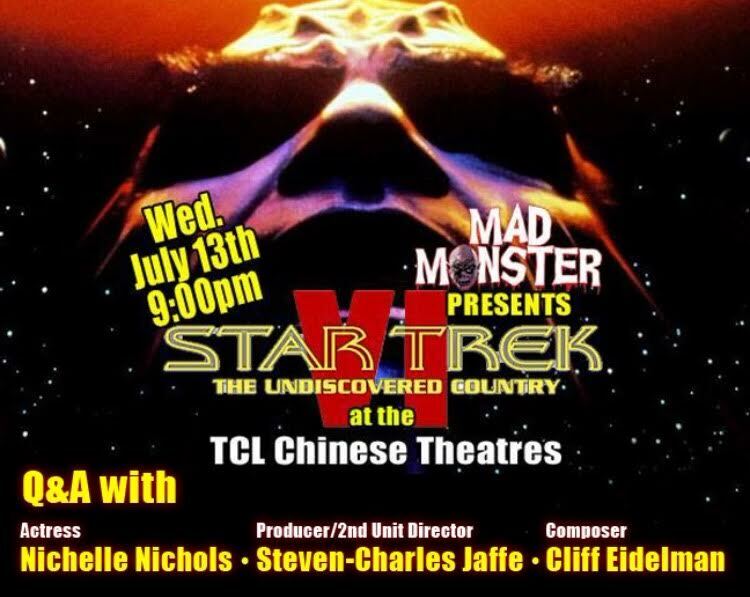 Star Trek VI 25th Anniversary Screening! Join comedians Dave Holmes and Drew Droege, along with their special guests, as they take the audience on a guided tour of one of the most wonderfully awful movies ever made. We're keeping the stinker a secret, but you'll howl as these talented entertainers comment, talk back to the screen, and generally transform trash into hilarity. Queer cinema will never be the same! A blindsiding exercise in pure aesthetics, this once-lost ‘80s curio–newly restored on 35mm!–delivers the eyecandy of a leopard-besuited Rainer Werner Fassbinder in his final acting role before his untimely death at the age of 37. As excessive as the seismic German auteur was in his career and personal life, Kamikaze ‘89 promises shades of Blade Runner and Liquid Sky (what exactly was up in 1982? ), all set to an organic, instrumental score from Tangerine Dream’s Edgar Froese. Not the now gone torrent site. Demonoid-A mining mishap in Mexico unlocks an ancient curse of a demon that only possesses people’s left hand. Once it takes hold of the appendage, it causes pain, suffering and gory death. The Bees-A swarm of South American killer bees has invaded the United States. Nostalgic for your favorite illustrated friends? Pajama up, bring a blanket, and enjoy an evening under the stars with entertainment, snacks and your favorite cartoons from the 90s. The station’s South Patio will be transformed into an evocative multi-media environment with the innovative cinematic experience Union Station 360°. The station’s massive entry arches will become the backdrop to a 30-foot-high, projection mapped art and video installation that will respond to visitors’ movements; and guests can move freely throughout the garden beneath the translucent Floating Sky Screen bathed in iconic Los Angeles imagery. 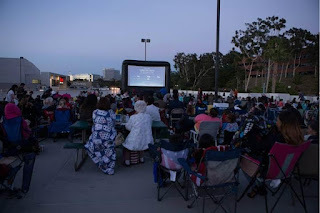 Seating opens at 6 p.m.
Movies begin at 8 p.m.
Friday, July 15, 6 – 10 p.m.
Saturday, July 16, 11 – 5 p.m. Dark Harbor needs hundreds of performers to help bring the wickedest nightmares to life this October. Ghost Pepper Spicy Pizza Eating Contest of Doom is one of many eating contests you only can think of being from cartoons. 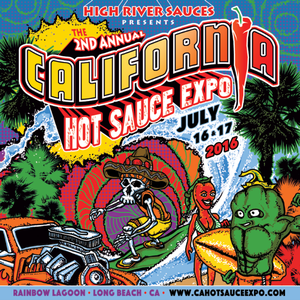 They will showcase 40 of the BEST Hot Sauce Companies from California, the United States and friends at Culley's from New Zealand. We hope you are ready for the Spiciest Party West of the Mississippi!!! Entry includes a collectible wine glass and tastings at 5 wines stations located throughout the three venues, paired with live music and fun. Including selections from Sterling Vineyards, Francis Ford Coppola Winery, Montes Wines & more. 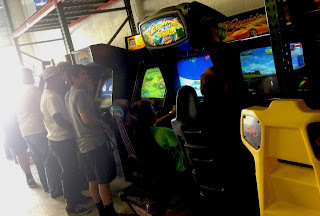 Hats off to Royce's Arcade for letting people play for free on weekends. Play arcade games for free, just sign-up there. No outside food and drinks. NHM’s popular adult-only sleepover is back! 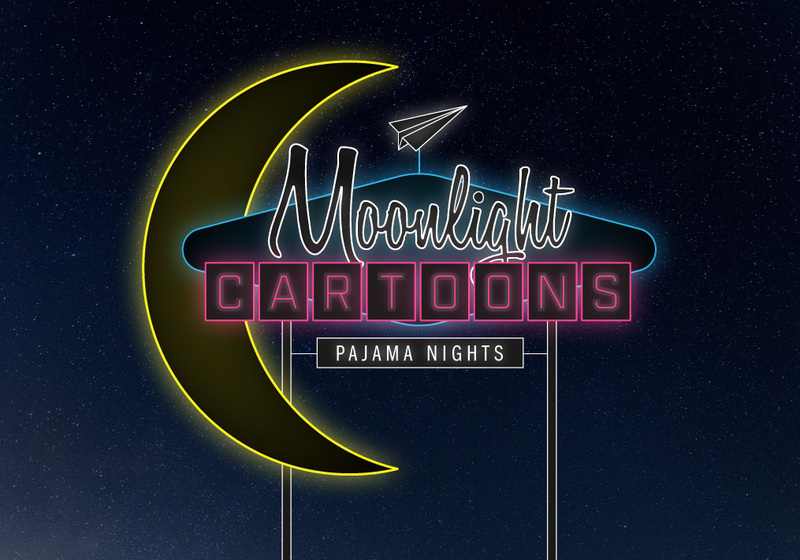 Put on your fancy PJ's for an ultimate 'nerd-chic' experience with scientific programming with one of our experts, trivia, music, and, a munchie buffet with craft beer and wine. 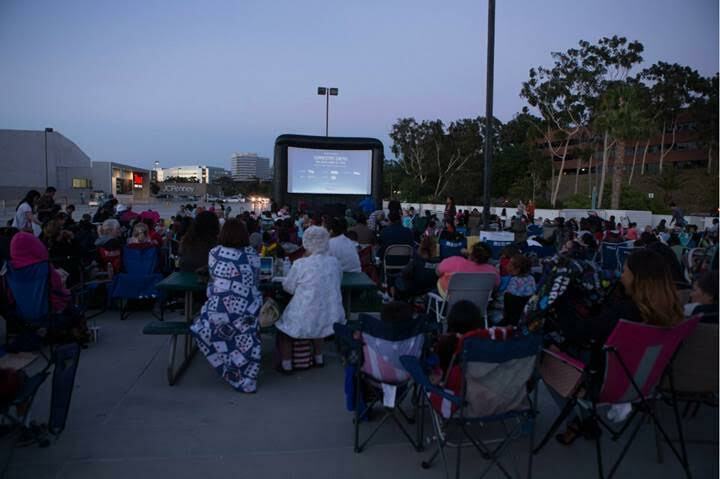 Plus, enjoy a natural history-themed movie screening and more! Enhance your evening by sleeping under the dinosaurs in the Dinosaur hall, with a behind the scenes tour at night, or breakfast buffet in the morning. Participants must be 21+ to register. 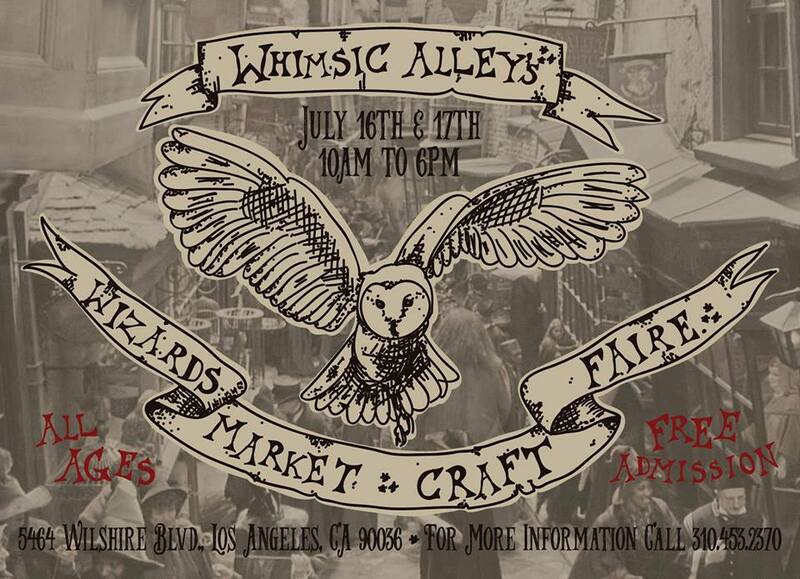 It's summer, and that means it's time for our annual Wizards Market Craft Faire! Shop in our Great Hall with some of our fantastic vendors. This is an all ages event, and is completely free to attend! As always, raffles will be held every hour, on the hour. 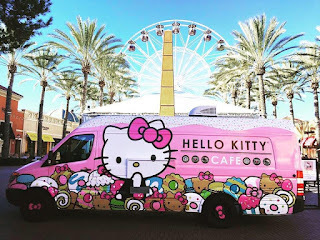 If you've been in search of something cute, something tasty, and are a major fan of Hello Kitty.. Look no further! Hello Kitty Cafe Truck is coming and is ready for all hungry fans! Don't miss the rare sighting! Come celebrate Nat'l Ice Cream Day w/ us on July 17th from 10am to 6pm. 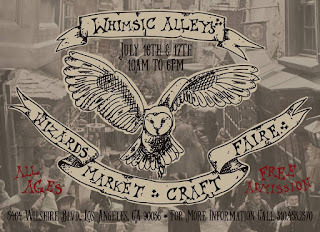 In addition to all of our regular great food and shopping we'll have a special ice cream section featuring Sweet Rose Creamery, Salt & Straw Ice Cream, Jeni's Splendid Ice Creams, Smitten Ice Cream, Peddler's Creamery, Little Spoon Frozen Pudding, Wanderlust, Sprinkles, and MORE! Oh, jeez, that's a lot of teenage violence. The immensely popular club event in Tokyo is finally coming to LA! 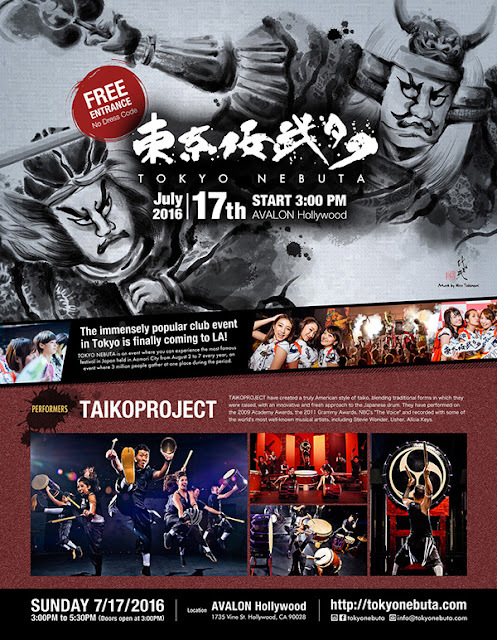 TOKYO NEBUTA is an event where you can experience the most famous festival in Japan held in Aomori City from August 2nd through 7th every year, an event where 3 million people gather in one place during the event. 1000 free fans, first come, first get. There is no way in Hell you haven't heard these songs in the background of your life if you had a television in your house. 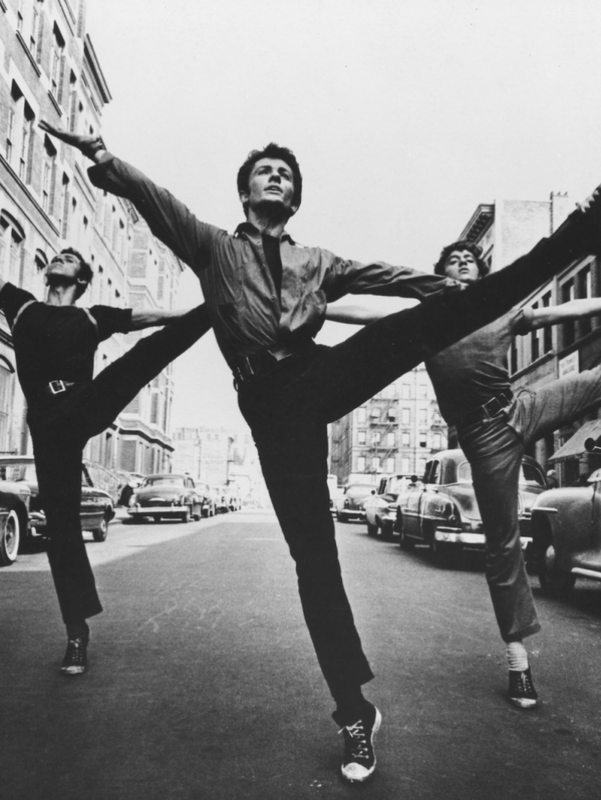 The Academy Film Archive is pleased to present our 70mm print, struck from the original negative. Special guests to include actors George Chakiris, Russ Tamblyn, Maria Jimenez Henley and producer Walter Mirisch.